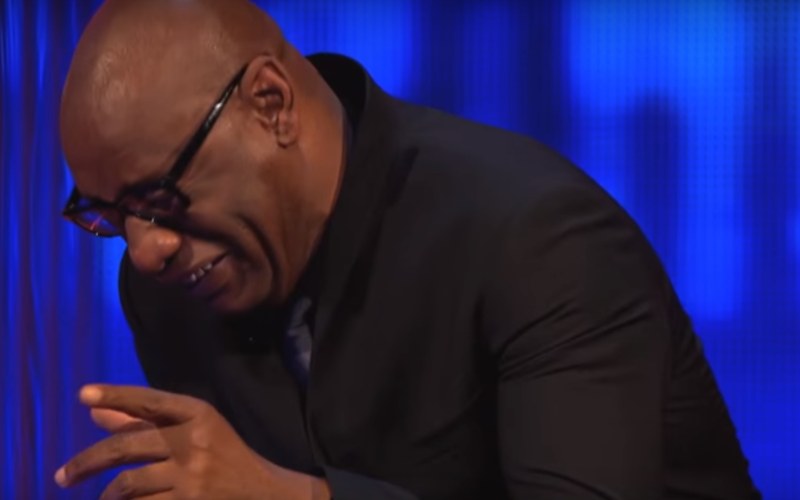 Is This The Funniest Moment From ‘The Chase’ Yet? Shaun Wallace, or as he is perhaps better known – ‘The Dark Destroyer’, is not famed for his laughter and sense of humour. However, the barrister-turned-quiz-legend just couldn’t contain himself after making a series of simple slip ups when introducing a contestant to the show. Colleague and host, Bradley Walsh, didn’t help. The presenter is well known for his uncontrollable laughing fits, such as the infamous Fanny Chmelar (the unfortunately named German skier) moment. We won’t spoil the video for you, but make sure to watch it to the end, as only then does the ‘Legal Eagle’ truly break into a fit of giggles which lead him to cry out ‘cut’ amid the howling. The Chase was in the news last week after enraged viewers took to twitter to show their anger at ‘the most selfish quiz show contestant ever‘. At least this time, everyone seems to be having a lot more fun!